The wolf in America has become a political symbol of a nation divided: Divided between the takers and exploiters and protectors and conservators of wolves and the last of the wild. Wolves are in the crosshairs again of legislators bent on passing legislation (without judicial review) in Senate Bill 164 to take away the specie’s federal protection under the Endangered Species Act. Such legislation ignores the vital role of wolves in maintaining healthy forests, deer, elk and biodiversity. It replaces that role with the arrogant assumption that we can do better without wolves as wildlife and wild lands managers and “harvest” them on a sustainable basis for recreational trophy sports hunters and trappers. Abnormally high deer populations fostered by State departments of natural resources and by recreational deer feeding stations of private land owners have helped decimate habitat quality and diversity, helped spread chronic wasting and other deer diseases, some communicable to humans such as Lyme disease that has become a significant, nation-wide public health issue. De-listing wolves will open their domain to mining, logging and other destructive human incursions and they will suffer and die under the renewed assault of the publicly subsidized beef industry and legions of hunters and trappers. According to the Economist Intelligence Unit’s latest Democracy Index, the U.S. government has been downgraded and is no longer classed as a “full democracy.” It never will be so long as its native flora and fauna, its indigenous peoples and species, communities and domains continue to be marginalized. The informed majority of America can stop this destructive juggernaut of vested interests by urging their Senators to oppose Senate Bill 164 because in the protection of the wolf lies the preservation and restoration of democratic process, eco-justice and a sane and humane society. 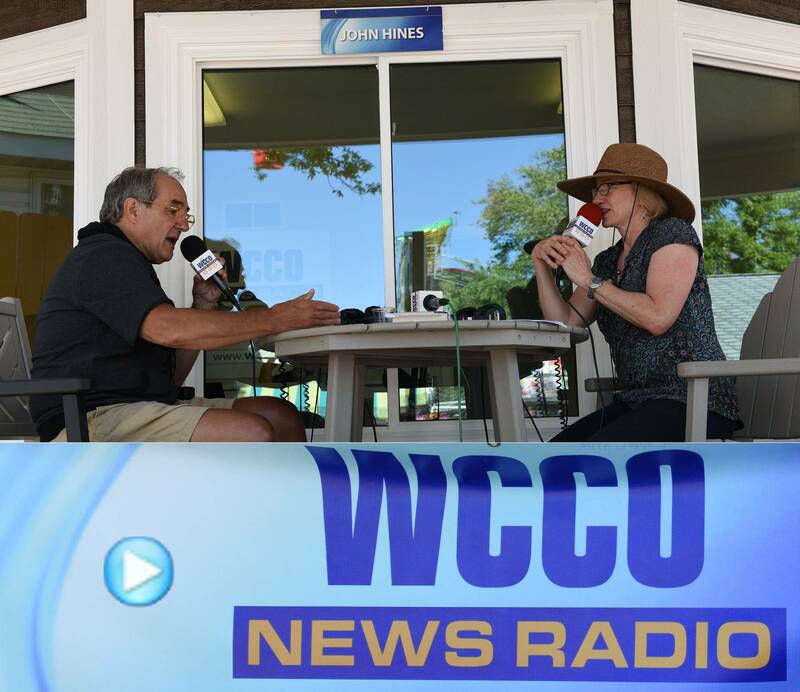 Howling For Wolves President Dr. Maureen Hackett featured in WCCO AM830 radio program - John Hines Show from MN State Fair on August 31, 2016. Dr. Hackett covered many issues related to survival of wolves, environment and latest developments from legislative perspective. Click on the image below to hear the interview. The following bills contain language that would delist the gray wolf. The language is in a variety of bills; from appropriations bills (which fund the federal government) as legislative riders (language attached to spending bills that contain policy language rather than just spending levels) to stand-alone bills. During markup of the bill before the full Appropriations Committee, Congresswoman Betty McCollum (D-MN) offered an amendment to strip all legislative riders (also referred to as poison pills) from the bill. This amendment was defeated on a party-line vote – meaning all Republicans voted against the McCollum amendment and all Democrats voted in favor of it. An Appropriations bill needs to pass both the House and Senate. Since Republicans control both the House and Senate, the outcome of these bills is often the same. The Senate Appropriations Committee passed out the FY 17 Interior and Environment Appropriations bill on Thursday, June 16, on a party-line vote. Like in the House Committee the day before, Senator Tom Udall (D-NM) offered an amendment stripping the bill of all legislative riders. And, like in the House, one of the riders in the Senate version was the wolf delisting rider, identical to the House’s version. Senator Udall’s amendment failed on a party-line vote of 16-14 (all 16 Republicans on the Committee voted against the amendment and all 14 Democrats on the Committee voted in favor of the amendment) and the bill was voted out of Committee on a party line vote. S. 2012 passed at the end of May with almost 40 separate pieces of legislation attached to it. One bill that was attached to it was HR 2406, the Sportsmen’s Heritage & Recreational Enhancement Act (SHARE Act). The SHARE Act was passed earlier in the House with a wolf delisting amendment attached. HR 8, the Houses energy bill, now has wolf delisting language in it. The bill passed 241-178 with all but 8 Democrats voting for it and all but 6 Republicans voting against. S. 659 is one of two Sportsmen Act bills in the Senate. This version, introduced by Senator Sullivan (R-AK), was marked up in February by the Senate Environment and Public Works Committee. During markup Senator Barrasso (R-WY) offered a wolf delisting amendment that was passed and made a part of the bill. This bill has not been scheduled for debate on the floor. HR 843 was sponsored by Representative Kline (R-MN) and would delist the gray wolf. This bill was referred to the House Natural Resources Committee in February where it sits today. These bills were introduced by Senator Flake (R-AZ) and Representative Gosar (R-AZ), both of Arizona, earlier this year and sit in their respective committees. Both bills would delist the Mexican gray wolf. This bill was introduced by Representative Newhouse R-WA) in April and hasn’t moved from Committee. Like the other bills on the list, it would delist the gray wolf in the Pacific Northwest. As of now, that’s all of the anti-wolf bills pending before Congress. Language to delist can be added to any legislation that is deemed germane and there is every indication to believe the anti-wolf forces in the House and Senate will continue their assault on the wolf until they succeed. A Star Tribune article published Feb 7, 2016 raises the possibility that wolves are somehow responsible for the decline of moose populations in Minnesota and that this might justify a wolf hunt, thereby excusing trophy killing. Before this article is taken at face value, we need to look more carefully at the myriad claims, most of which are unsubstantiated. The article itself provides the proof that this simple minded assumption of cause and effect is wrong. 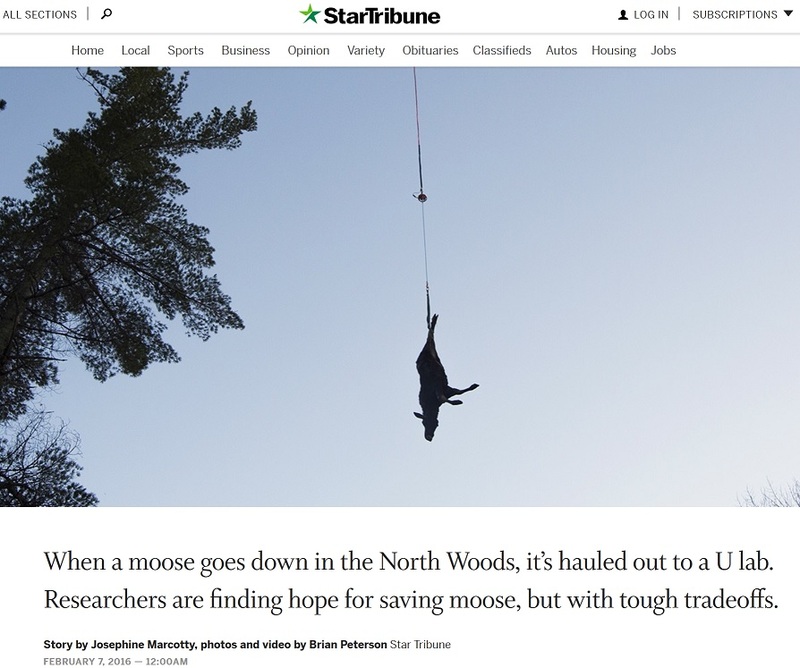 The charts provided by the Star tribune show higher moose (and deer) populations at the same time the most wolves were counted in Minnesota. If wolf and moose populations are inextricably linked, we should want more wolves, not fewer. Perhaps the argument is the non sequitur that because wolves have been observed to feed on sick and dead moose, the removal of wolves would not make these sick individuals get better. Moose are declining in places like New Hampshire where wolves are non-existent. Moose are not dying off in Isle Royale where there are wolves (but no deer). The statement that wolves have maximized their range has no scientific basis: it is an assertion by Dr. Mech because he has seen wolves that are “skinny”, like the moose. Moose could very well be suffering more deaths from illness because of warmer winters and hotter summers due to climate change combined with pervasive habitat destruction. The survival of the parasite afflicting moose may also be enhanced by these warmer conditions year-round. I suspect Dr. Mech has not researched this possibility, in spite of his blather targeting wolves for slaughter. Could it be that Dr. Mech’s study wolves are also suffering from issues tied to a generally declining ecosystem? Many scientists believe we are witnessing a mass extinction of wild animal populations due to human carelessness and greedy behavior. Under these global circumstances, it is irresponsible to insinuate that killing wolves will keep moose from dying or other wolves from starving. It is a razor thin (and baseless) judgment to claim it is better to kill wolves to hang on the wall rather than let nature take the chance that some will starve. Wolf hunters do not select individual animals to shoot for the “worst or best” genes for survival, let alone to compensate for specific environmental problems. I suspect no trophy hunter has ever massaged a wolf “feeling their every bone” to decide if it was the right wolf to kill, even if he had the time. That being the case, DNA analysis to decide which wolves to spare for the benefit of the species before pulling the trigger is pretty much ruled out. Seems to me that mankind has never gotten it right, even when armed with the latest in technology. To suggest that a trophy hunt is a measured or controlled way to preserve a species is pure hokum. Wolves have NOT been shown to be the cause of declining moose populations, but trophy hunters will jump on any excuse to kill them. Wolves have it hard enough and they too, will disappear when their food source is gone. After three years of reckless wolf hunting, Minnesota wolf populations have been pushed down to levels last seen since 1988, never mind the moose question. Lobbying for another year of trophy killing is irresponsible, dangerous and without a shred of justification, scientific or otherwise. It is easy to disarm the arguments of deer hunters who call for zero tolerance for wolves or advocate for a kill as high as 750 annually or brazenly want them wiped out. These arguments are based on their bizarre claim that there is a scarcity of deer in Minnesota. Since 2000 to 2015, Minnesota has had the largest whitetail deer population in our history. 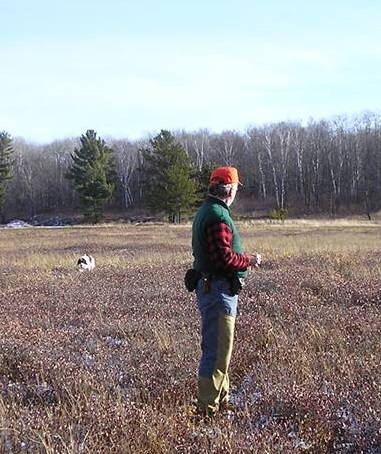 This has been the “golden age” of deer hunting in Minnesota. According the MN DNR, the deer herd has varied between one million to one and quarter million during this same period. These same years of record deer numbers have also coincided with the largest wolf population in our state’s history - 3,200 wolves prior to the states three wolf hunts. I am not implying that three thousand wolves are responsible for over a million deer. The reason for these deer numbers are our land practices. For three to four decades, Minnesota’s public lands were tree farms for the orientated stand board plants and pulp wood industries. These extractive wood industries created ideal habitat for deer. We will never be able to achieve peace in our time unless we live life in that “good” way towards all the life forms we share this earth with. I am a hunter and will to continue to hunt deer and partridge but the wolf, for me and others, should never be hunted. Wolves, along with other predators, have an important job to do, and that is being in balance with the world. For many years it has been obvious to those of us advocating for measures to protect our diminishing natural resources that the very people assigned to perform these functions seem more inclined to be working against us. I can't recall how many times someone of our ilk has made the comment to me, "I thought the MNDNR was supposed to be protecting the environment, not working against it." This accusation can be also applied to the USFS and more so to county land managers. Of course, this is a general compliant - there are well intentioned people working within these resource agencies - wanting to do the right thing for the natural world. But overwhelmingly, the culture of forestry, wildlife, waters, and so forth are principally managed within market based logic - not what's right for the environment. Look at who three of our last four MNDNR Commissioners were; two politicians (Merriam & Holsten) with no natural resource background/training and one retired FBI agent (Allen Garber). Having been part of a number of committees and 'task forces,' I repeatedly hear DNR staff refer to snowmobiliers, ATVers, dirt bikers, mudder trucker, hunters, fishermen, trappers, etc., as their clientele and stake-holders. Rarely do I hear them refer to animal and plant communities as stake-holders. The plant and animal communities do not provide the legislative muscle and lobbying power that the special interest and consumptive stake-holders mentioned above have. There was a time, perhaps 40 to 50 years ago when there was a balance in the DNR of politics and science.....maybe 50/50, but today, the sad reality is that politics and economics carry’s the day. A retired wildlife manager once asked me how you tell the difference between a forester and a farmer during a hotly contested question of inappropriately placed ATV trails involving 'forestry.' His answer was that a farmer wears striped overalls, a forester wears green overalls. The upshot was that both were more concerned about yield - bushels and board feet. I would add a third comparison: the wildlife manager - he wears camouflaged overalls - increasing game populations for harvesting, similar to harvesting corn and trees. Even many environmental groups are suffering from this creeping fund raising malady along with their relationships with corrupt legislators - more concerned about money than doing what's right for the ecosystem. With this wolf issue heating up, few if any environmental groups are willing to stand up on the proposed wolf hunt. "Considerations for Developing Wolf Harvesting Regulations in the Contiguous United States" - authored by co-founder L. D. Mech raises some disturbing issues about where the International Wolf Center is on the wolf hunt. You can read the two page article via the link provided (2010 winter issue) plus I have copied and pasted below some verbiage from the Mech article that I find upsetting, like hunting wolves from airplanes or ATV's, controlling wolf populations by killing pregnant females, and even tracking them via wolf radio collars. He even talks about killing wolves to increase game populations! Furthermore, the IWC is funded by donations from private citizens and the public. This point needs to be questioned and made public. I thought we turned this ugly page in our history. Let me make one thing clear about this message; I am a hunter and have been for nearly 50 years but I find the culture around hunting to have been extremely transformed in the last 20 years. Ethics, responsibility, and conservation motivated thinking are more a rarity than common place. Our forests are under an invasion of motorized hunters; deer hunters who can't even get to their starter-castle tree stands on foot, they ride ATV's. Grouse hunters who hunt from ATVs. The majority of hunters should have the appropriate bumper sticker on their trucks that states; "he who dies with the most toys wins." That's what it's about now - money & consumption. What adds a note of irony is the commonly held belief among most hunters that what makes deer hunting so attractive is that the whitetail deer is so elusive and challenging a quarry. The irony of it is that this elusiveness and wariness of the whitetail is the result of millions of years of being chased and tested by the wolf. For some of us, to hear a wolf or even see a wolf is far more rewarding than shooting a deer. harvest on areas where wolves kill the most livestock. opposed by certain segments of the public." Over the past several months wolf sign has been sparse as my local pack has moved to another part of their range, probably due to denning and rendezvous site but wolf pups are now old enough to travel with the pack and I now see their big tracks and scats again. The pack has completed another cycle of life and rearing. 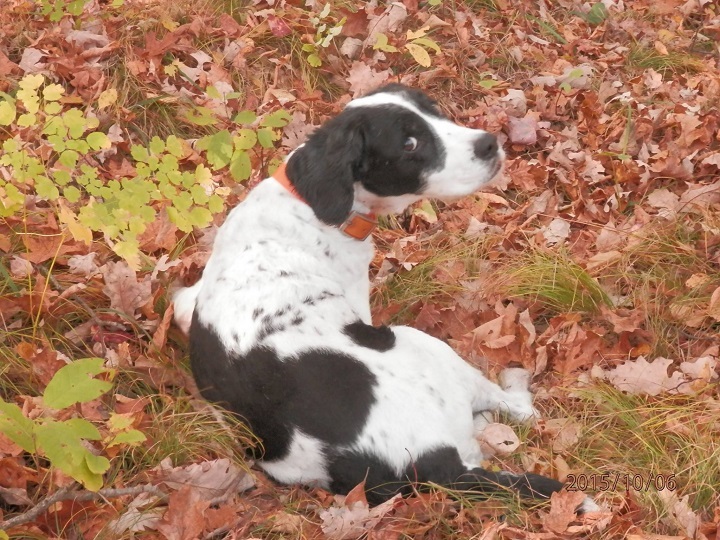 On the morning of October 12th, with my little field Springer, Babsy, we took off into the woods grouse hunting. We were not a quarter mile beyond my property when I rounded a bend in the old timber access road we were hunting when I noticed something out of the norm in the road 20 to 25 yards ahead of me. I walk this old trail several times a week and feel I am well acquainted with every tree and object along this route. When I stopped and stared at this object, it moved and its shaped suddenly took form and I now realized I was gazing upon a large, adult gray wolf that was studying my presence as I was of it. Its gray color caused it to blend amazingly well into its surroundings in the post autumn colors. Our face-to-face encounter lasted only seconds as it then turned and casually loped off down the trail and around the next bend. My little dog never saw the wolf but when proceeding down the trail, it caught its fresh scent and came back to my side and starred up at me with big eyes, which said in dog language with great concern, "Dad, that big wild relative of mine is close by." For the next 15 minutes of more, she forgot about the olfactory gold scent she was searching for and became wary of the presence of something that demanded more concern but soon enough her mind focused back to birds. I hear and read about wolves attacking gun dogs or threatening humans and the present danger they pose. I live with wolves 24/7. I have had numerous encounters with wolves and none have been threatening. What they have been is a reassuring gesture by Mother Earth that the land is whole and complete. It is time for Americans to start "thinking like a mountain." The presence of wolves is a powerful statement saying, "I am back and the wild is again complete." I just finished reading the gruesome details of the Minnesota dentist who, through a guide service lured Cecil the lion, a favorite with tourists, out of a national park in Zimbabwe and shot him with a bow. As disgusting and sickening as this is, I know what it will mean on the internet for the next week or so is a host of postings on what despicable beings hunters are and I for one, am sometimes at a loss as how to express my beliefs or justify them. As a hunter I cannot tell you that a majority or minority of hunters support or condemn this. I would like to think that the majority condemn it but I really can't say. What I can say is that I live as sustainable and environmentally correct life as I can. I have thought about vegetarianism but I am not ready for it. I do avoid corporate produced meat and restrict my diet of meat to that which I kill myself and local free ranged livestock. I do think that sinful acts like the killing of Cecil polarizes us, hunters and non-hunters, in a way that plays into the enemies hands but who is the enemy? We do not always have a clear identification of who they are. For years I have been talking about a “three legged stool” in regards to the culpability of recent wolf hunts among other conservation issues. I have been stating that the “legs” are state DNR's, legislators, and organized hunting groups (such as the Minnesota Deer Hunting Association/MDHA as in my state of Minnesota.) As this wolf issue has evolved since 2012 I have added Big Ag as a leg of the stool as cattleman’s associations have aggressively stepped forward in their demands of zero tolerance for wolves. All stools have a seat which is supported by the legs and seated and supported by these legs is the “Recreation/Industrial/Ag Complex.” I remind you of President Eisenhower's farewell “Military/Industrial Complex speech to Congress. The speech was originally titled the “Military/Industrial/Congressional Complex” but since Eisenhower was giving the speech to Congress, it was thought best to remove the word “Congressional.” In this speech he warned the public of a looming danger to America. I here warn American's of a different looming threat to our land , environment, and what's best about America and what's best about being an American; Rec/Ind/Ag Complex. As management of our natural resources have become more market place driven and as hunting, fishing, motorized recreation and so forth have come to be seen by natural resource agencies as “clients” and “stakeholders” less attention or no attention is given to groups unless they are “clients.” And for the record, these state agency decisions, like wolf hunts, have nothing to do with majority opinion. This isn't just happening in Minnesota, it is happening nation wide. Large industries have sprung up where none existed before. Sporting goods catalogs now exist resembling old Sears and Roebuck catalogs where in some cases there are twenty or more pages of just camouflaged clothing. The majority of deer hunters ride ATV's every where they go and the woods on opening day of deer hunting sounds more like military maneuvers at Fort Ripley than the old days when one looked forward to the silence of a frosty morning is a tree stand. In a sense, much of this is the gentrification of hunting and fishing. You have to have a lot of money nowadays to hunt and fish....or keep up with the trends. This “complex” has transformed deer hunting more in the last 20 years than it has in the last 200 years. I love to hunt, I am good at it, yet I respect and know what I am hunting which in my late years has been restricted to whitetail deer and ruffed grouse. The venison is important to our subsistence diet. I am not a trophy hunter but am not always sure where one draws the line that separates trophy hunting from subsistence hunting. I often shoot a mature buck and I save the antlers as they are a thing of admiration. Some would consider this trophy hunting, I would consider it highly disrespectful to throw deer horns away as I believe the spirit and essence of the animal is in those horns. Consider the caves of Lascaux in France. Those prehistoric hunters showed great affinity for those massive flowing antlers as aptly painted on the cave walls. The upshot of this is that there is a sizable portion of hunters out there who find hunters like the dentist who killed Cecil the lion a disgrace to all hunters and many of these see killing apex predators as simply wrong. I personally know of deer hunters who would give anything to hunt deer in the northwoods and hear wolves howl. I have heard hunters tell of the experience of seeing a wolf while hunting deer and describe the experience as one of the greatest they've ever had while afield. I also know of other hunters who espouse the ideals of “fair chase” and believe that ethics is as essential to hunting as actual success in the field. As Leopold said, when alone afield, only you are the judge of yourself...no one else. The nationally well known hunter/writer David Peterson stated that it's wrong to kill a grizzly or wolf. 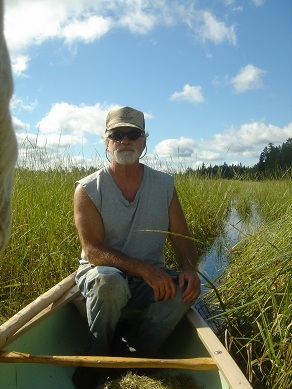 The widely read bow hunting author Texan Jim Hamm told of his experience bow hunting deer in the Leech Lake region of northern Minnesota and having the thrill of hearing wolves while in the woods, something he wrote that his fellow Texans would most likely never experience. And then there are men like Aldo Leopold who were equally as much hunters and they were conservationists who were some of the first American's to speak and write publicly for the preservation of wolves and bears. It is time for more hunters to come forward and speak out against heinous acts such as happened recently in Africa and it's time that ethical hunters, non-hunters, and animal rights advocates to put aside our differences and work together for the common goal of honoring our relatives who we share in the travails of life on earth; the wolf and the bear. We must not let them keep us divided. As a hunter, I am as offended by this barbaric act of senselessness and am ashamed to be categorized with this behavior. You may have heard that wolves were returned to protected status under the Endangered Species Act by a Federal court ruling in December 2014. And while that was great news, it’s not the end of the story. Sadly, legislation that would reverse that ruling was recently (June 2015) introduced into both Houses of Congress. The language in those bills would delist wolves in the Great Lakes region (which includes Minnesota) and Wyoming from federal protection entirely, leaving them open to state-sanctioned recreational hunts—including inhumane snaring and trapping—and other catastrophic policies. The bills’ language also eliminates any future judicial review, effectively leaving the gray wolf without the possibility of Federal protection, no matter how low their population numbers were to drop. In essence, it’s a formula for extinction. Recent history has shown that when Federal protection is removed, it leaves individual states to make policy decisions regarding wolf management. Unfortunately, those decisions are often made hastily, without solid, scientifically-based input or understanding of their possible impacts. When the gray wolf was first delisted from the endangered species list in 2012, the Minnesota legislature quickly instituted a recreational wolf hunt. 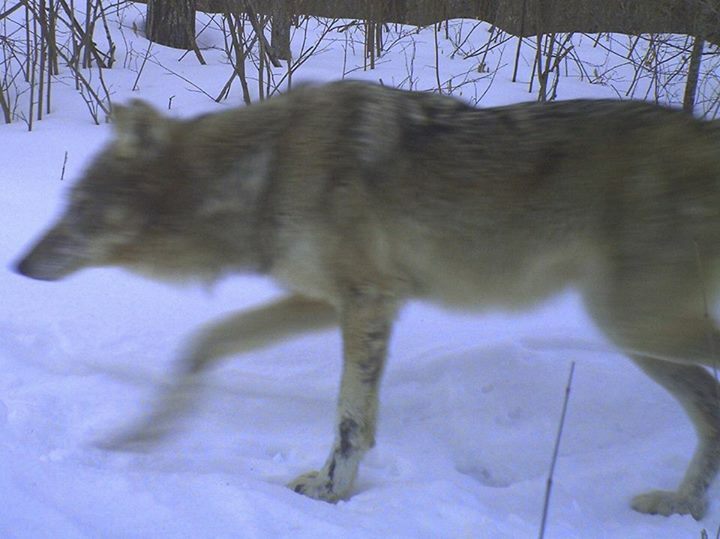 It did so in direct opposition to a Minnesota DNR wolf management plan, which has as its goal: "ensuring the long-term survival of the wolf in Minnesota while resolving conflicts between wolves and humans." The plan mandated a 5-year hunt moratorium when and if delisting of the wolf occurred—a stipulation that was entirely ignored by the Minnesota legislature that authorized the 2012 wolf hunt and trapping seasons. Prior to the 2012 delisting, the Minnesota wolf population had remained stable for over 10 years. The 2012 recreational hunt, however, reduced that self-regulating population by a shocking 25%. The Minnesota DNR reports that 1,650 Minnesota wolves were killed (or found dead) in 2012-2014—years in which “limited hunting seasons” were in effect. Nationally, the statistics are no better. According to the Center for Biological Diversity, 2,814 wolves were killed between 2011 and 2014 as a result of hunting and trapping that followed delistings. It’s clear from these statistics that delistings and recreational hunts are not effective ways to ensure the long-term survival of the wolf. Reducing predation on livestock and supporting farmers and ranchers are important goals and should be an integral part of responsible wolf management policies. 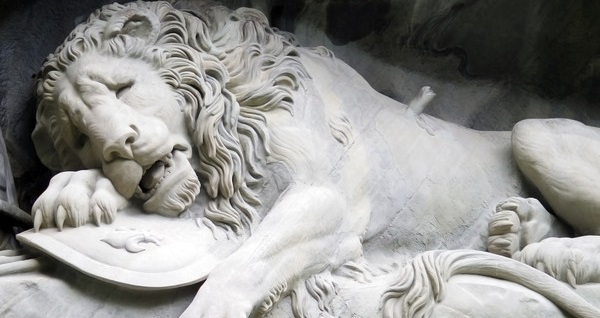 But traditional methods—killing and hunting—have been shown not to work. Alternatively, there are nonlethal methods that do work. Killing Wolves Increases Wolf-Livestock Conflicts: Hunting and indiscriminately killing wolves has been shown to be ineffective in reducing wolf-livestock conflicts. A 2014 study at Washington State University showed that when wolves are killed to protect livestock, more livestock kills occur the following year, not fewer. This occurs because wolf kills cause packs to break up. Once split, smaller and younger packs become competitors for the same territory and limited food supply, forcing more wolves to hunt domestic livestock. Non-Lethal Methods Work: There are a number of nonlethal methods that have proven successful in addressing wolf-livestock conflicts. They include guard animals, fences, lights, and carcass removal, all of which can effectively reduce these conflicts. Wolf-Livestock Conflicts in Perspective: A common myth is that Minnesota wolves kill large numbers of livestock and pets. In actual fact, the incidence of these conflicts is quite low. In 2011, for example, there were 91 verified calves/cattle kills by wolves on Minnesota farms. While regrettable, this represents less than 2 percent of all beef producers in Minnesota’s wolf territory. Over 200 wolves were killed in response. Allow for continued Federal oversight and funding of wolf recovery efforts and encourage development of a national recovery plan for the species. Give the USFWS regulatory flexibility to permit state and local wildlife managers to address specific wolf conflicts. It would keep the issue out of the court system but still provide for a process by which state plans for wolf recovery are monitored. Unfortunately, the Fish and Wildlife Service has rejected the petition on the grounds that it did not prove that all wolves in the lower 48 are “one distinct population group, nor that gray wolves "may be likely to become an endangered species within the foreseeable future." Howling for Wolves continues to work to keep wolves protected with actions in Washington and locally. We’re supported by two Federal lawmakers who’ve committed to working on behalf of the wolf. Congresswoman Betty McCollum (D-MN) and Senator Gary Peters (D-MI) understand that wolves need protection and that states need better wolf management policies. Thank you Congresswoman McCollum and Senator Peters! History has shown that when Federal protection is removed, states take over the “management” of wolf populations, typically with little or no science-based policies in place. This has endangered the wolf species as a whole and done nothing to resolve wolf-livestock conflicts—in fact, likely increased them. First and foremost, it should be good science that guides species protection policies and Federal protection is necessary to ensure that science-based strategies are in place and enforced. And because the wolf population ranges across many states, those policies should be consistent throughout wolf territory. 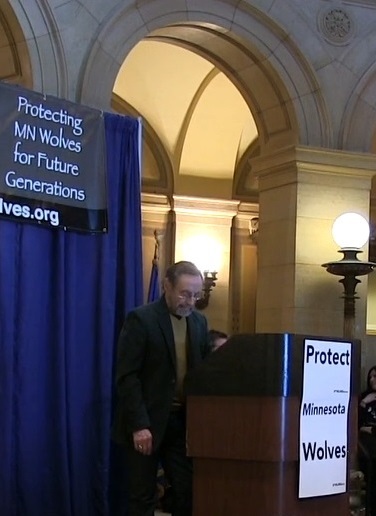 This will be the only way to truly ensure “the long-term survival of the wolf” not just in Minnesota, but nationally, as well. Our advocates in Congress, Senator Peters and Congresswoman McCollum, have emphasized how essential it is that we call and write our lawmakers to let them know we support Federal protection of the gray wolf. The more lawmakers that hear from their constituents, the more Congresswoman McCollum and Senator Peters can gain their voting support. You can also reach out to thank Congresswoman McCollum and Senator Peters for their support. A recent study authored by UW-Madison researchers Jamie Hogberg, Lisa Naughton, and Adrien Treves found that wolf hunting does not increase public tolerance. Legalized wolf hunting and trapping seasons actually "reinforced a negative relationship between people and wolves." Proponents of state-sponsored wolf hunts have argued that legally killing wolves acts as a social balm—a way for individuals to release negative associations with wolves and replace them with increased tolerance. This is the justification used to hunt the wolf, a species that has only recently come back from the brink of extinction. The negative implications of legalized wolf hunting and trapping includes increased poaching. This is one more reason why Congress needs to keep wolves under federal protection. States are not ready for responsible wolf stewardship. We witnessed the reckless hunting seasons and over-zealous wolf killing that occurred as soon as wolves were delisted in 2012. Our state and federal officials need to support policies encouraging coexistence between humans and wolves, not reckless hunts that threaten the future of a vital species and foster hostile relationships between people and wolves.